Version 9.5 with "Live Weather Maps"...Now Available! 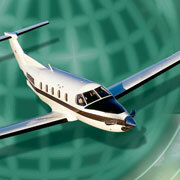 FliteStar VFR and IFR are our PC-based flight planning software solutions for general aviation pilots. Created to simplify and automate the entire flight preparation process, FliteStar gives you more time to do what you really like to do – FLY! For Business and Corporate pilots, please review the FliteStar solution designed specifically with you in mind here. With its integrated weight and balance; superior auto-routing algorithms; easy-to-use chart interface; amazingly rich, dynamic, continuously updated graphical live weather background and its unique “future view” capabilities, it’s no wonder that FliteStar has been the general aviation flight planner of choice for pilots worldwide for more than a dozen years. Customers in the Americas can purchase FliteStar service online, or by calling Jeppesen Sales Support using the phone numbers to the left. Customers outside of the Americas can purchase by calling the appropriate Sales Support number to the left. What's The Difference Between FliteStar VFR, IFR and Corporate? Compare features in the table below to see which version contains the features you need. The Advanced Model (available in FliteStar Corporate only) allows for more complete cruise information, an unlimited number of cruise settings, and more than a simple linear climb and descent profile. It can also accommodate override fuel flow settings. The Basic Model (which can be used in all versions of FliteStar) contains less detailed performance data . However in most cases it still provides highly accurate time and fuel burn results. When information is entered into the basic model format, the FliteStar application interpolates or extrapolates additional data points for the given weight or performance settings. With 5 rows of information and three power settings available for each weight setting, the interpolation can be highly accurate but not optimal for all altitudes and flying conditions. One area in which a Basic model may excel is when detailed performance information needed for the advanced model format, is lacking. The calculations for the Basic model interpolates additional data points, however the Advanced model uses only the nearest entered data points without interpolation or extrapolation. If too many gaps exist in the data, the Advanced model could be less accurate than the Basic model.